Chemistry, especially its historical practice, has in the philosophy of science in recent decades attracted more and more attention, influencing the turn from the vision of science as a timeless logic-centred system of statements towards the history- and practice-centred approach. The problem of pluralism in science has become a popular topic in that context. Hasok Chang’s “active normative epistemic pluralism” manifested in his book (2012) Is water H2O? Evidence, realism and pluralism, pursuing an integrated study of history and philosophy of science, has provoked quite a widespread debate. It provides a good opportunity to discuss the topical philosophical issue of the nature of disagreements. The differences among disagreements in different domains have been pointed out in the disagreement literature. It has been noticed that in mathematics and science consensus is established more clearly than in philosophy where it remains largely unachievable (Kornblith in Disagreement, Oxford University Press, Oxford, pp. 29–52, 2010). However, this conclusion is derived in the context of traditional logic-centred view of science. The aim of this paper is to consider the different nature of disagreements in science and in philosophy in the context of the history- and practice-centred approach. 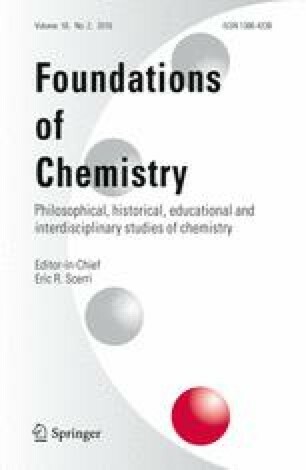 The analysis is focused on the critique of the received view of the Chemical Revolution which played quite a central role in Chang’s becoming a pluralist about science. Unlike Chang, however, a modified Kuhnian paradigm-conception of science and scientific revolutions is defended.